Servicemen adept in installing, repairing and replacing all types of garage doors. The best garage door repair and maintenance tips are all listed below. A visual inspection is in good order during garage door repair. This allows you to see the things that were previously hidden from view. For example you may use the opportunity to check pulleys, rollers, cables and even springs. Wear and tear is a frequent complaint from consumers and these checks ensure that you are not caught off guard when dealing with these issues. They also serve as a preventative strategy that reduces costs in the long run. It is important to test the reversing mechanism during the maintenance process. In fact it is part of the essential list of our experts in Farmingdale. The process is fairly straightforward because all you have to do is place a board or some paper towel in the pathway. If that does not stop the movement then you will definitely know that there is something wrong. This is a critical aspect of care because it involves health and safety issues. A common problem with unresponsive automatic garage door openers is the lack of power. Make sure that your electric door opener is plugged in. However, if the problem looks bigger than it should be, you may need the assistance of our Farmingdale based team of garage door specialists. It may sound odd but keeping garage door tracks clean is very important for the good operation of the mechanism according to Garage Door Repair Farmingdale. You must clean them from grime, dirt and dust well enough to see the metal shining underneath. Remember to lubricate them again afterwards. The rollers will now slide more smoothly. Not following the instructions in the manual of your garage door can be the cause of its malfunction. Though garage doors look easy enough to operate, there are still proper ways of using them, which you may not know of. The manual typically has all the information you should know on how you should or should not handle your garage door. The power must be turned off first if it is automatic door. To start the test, pull the door down just like a manual door and release it once pulled halfway. Check if it drops down or just hangs in balance where it was released. Check the alignment if it is still perfect. If it drops, there is a problem with the torsion springs. It is important to consider the material used for a new door and choose a design that will match the look of the entire house so that its value increases. 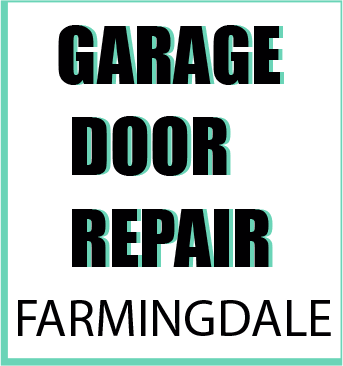 Garage Door Repair Farmingdale technicians offer to install any type of door and recommends homeowners choose one that has several safety and security features.